Key Difference: Kindle is a basic e-book reader, which was designed and market by Amazon starting on November 19, 2007. On the other hand, Kindle Touch is an advanced series of Kindle e-book reader, which was designed and marketed by Amazon from September 28, 2011. Kindle and Kindle touch are e-book readers, designed and marketed by Amazon. 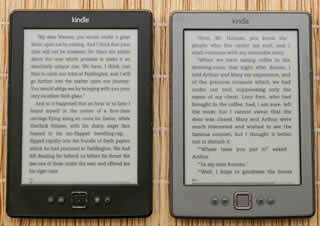 In both the e-readers, the difference is between touch and many other features. Let us understand both the e-readers in the following context. Amazon has released various series of Kindle e-book readers, which was mainly designed and marketed by Amazon. The Kindle e-book readers use e-ink screens, which imitate the look of paper closely. It was first released on November 19, 2007. The word Kindle was taken from the context of ‘kindling a fire’. Kindle has published different ranges of e-book reader for different readers. Models range from a basic reader to touch screen, and illuminated models for reading under the covers. Kindle, Kindle Paperwhite, Kindle Paperwhite 3G, and Kindle Keyboard are e-readers, which feature the electronic paper technology. The electronic paper, also called e-paper, looks like traditional paper and has several advantages, such as better readability, less glare, etc. Whereas, Kindle Fire Tablet, Kindle Fire HD Tablet, Kindle Fire HD 8.9” Tablet, and Kindle Fire HD 8.9” 4G Tablet are tablets, which feature LED screens. 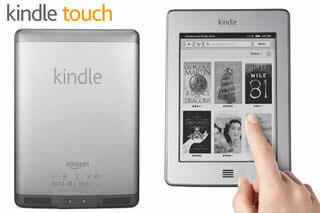 Kindle Touch, the name itself implies that Amazon has released the touch screen e-book reader. It was released on the date September 28, 2008. The well-advanced Kindle Touch was provided with Wi-Fi or 3G connectivity, which was very greatly in progress. Kindle Touch is the most advanced 6” e-ink multi-touch screen. Like its ancestor (predecessor), the capacity is of 4G and battery life lasts for two months. Kindle Touch is more flexible as compared to basic Kindle e-book readers, as it lets readers read easily with one hand. One can easily download up to 3,000 books; and the X-Ray feature in it will let one look up characters, historical figures, and interesting phrases. Page turns, search, dictionary look-up, and menu access all happen at a touch, no buttons required. Kindle does not support audio. Touch Screen is not available.